On a recent trip to South East Africa I met all the key food and nutrition stakeholders in the public sector. I also met 3 managing directors of small and medium sized businesses. I was struck by how much more dynamic, driven and committed the entrepreneurs were compared to their public sector counterparts when it came to finding solutions to food and nutrition Problems. This trip confirmed my belief that no alliance within Africa is going to be more important than those between African governments and businesses. The Sustainable Development Goals (SDGs) are not going to be achieved without businesses being fully aligned with them: governments and development partners will not be able to do it on their own. As the World Business Council on Sustainable Development’s 2017 report indicates, the economic case for firms investing in sectors such as health, cities, energy and materials and food security is compelling. And yet Africa is one of the hardest places to do business in the world, according to the World Bank’s Ease of Doing Business Index. There is an optimal level of regulation and the World Bank’s research shows that most African countries are the wrong side of that optimal level. Working together, governments and businesses can do good things for development that neither can do on their own. They can create incentives for low cost drugs, for reduced CO2 emissions and, in the field of my organisation, the Global Alliance for Improved Nutrition (GAIN), they can incentivise businesses to improve the demand, availability and affordability of safe nutritious foods. As the World Business Council report shows, reducing food waste in the value chain represents a business opportunity valued at $155-$405 billion a year by 2030 while the corresponding number for “investing in supply chains and food innovation to give those on very low incomes access to food products that are more nutritious” is $155-$265 billion. GAIN works in these two areas: reducing food loss and strengthening food markets for low income consumers. When it comes to reducing food loss, businesses want to do better—it is in their interests—but the cold chain infrastructure is often not present. When it comes to strengthening food markets for low income consumers, small and medium businesses want to reach the low income households with their products, but often they cannot get access to financial markets: they are too big for microfinance and too small for formal financial services. The public sector needs to invest in cold chain and financial infrastructure to get the business engine working for food security. For their part businesses need to do more to understand government priorities, to comply with standards and communicate clearly and honestly with their customers. What is needed to stimulate new alliances? First, we need business platforms at the national level that attract, screen and segment businesses and then connect them to governments. The Scaling Up Nutrition Business Network that GAIN co-chairs is a good example. Second, fiscal and legislative incentives are needed to make it easier to businesses to invest in SDG outcomes, whether the removal of import duty on the micronutrients needed to fortify food, or tax incentives to support the development of low cost fruits and vegetable markets. Third, we need to promote new metrics that show how supportive governments are towards businesses that are generating products and services that are positive for the SDGs: we need to assess the ease of doing business in service of the SDGs. Fourth we need to assess the value added of these public private alliances. They are not guaranteed to be positive—as for any contractual relationship, they can be designed badly or well. Finally we need leaders who can think outside of the box and are willing to take some risks and partner with those outside of their comfort zone. Working across the public-private divide is not always easy and is sometimes thankless. Leadership is needed to bridge that divide for the greater good. When we think of alliances with Africa we tend to think of nation state alliances, but alliances between African stakeholders in the public and private space are likely to be more transformative, because they are home grown, sustainable and have a clear purpose. We need more. 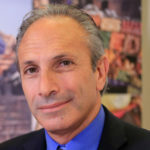 Lawrence Haddad is the Executive Director of the Global Alliance for Improved Nutrition (GAIN). Lawrence is a renowned expert in international development, whose research focuses on a wide range of issues related to the wellbeing of the poor, including the design of policies and programs intended to reduce poverty and malnutrition, the impact of gender differences in accessing to resources on nutrition and poverty, and the challenges rapid urbanization poses for the poor.